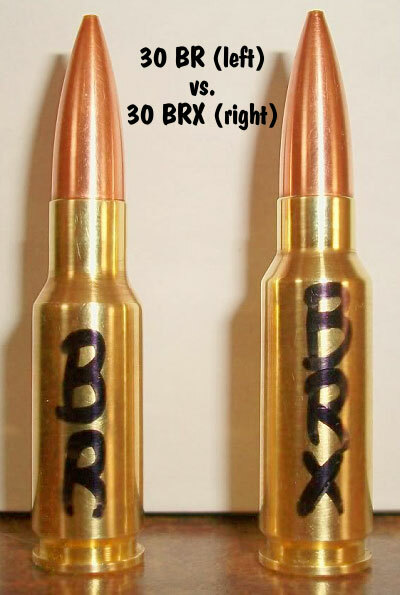 Some of us have been shooting the .30BRX for several years, this is nothing new. Hi Danny. Yes, this has been worked with…in one form or another…by several people over the years. I had posted this on the site some time ago under the ’30BR’ section. It was nice of the Editor to give us ‘point blankers’ a little ink and show that we BR guys are still tinkerin’ and still looking for an edge. and jimmy Campbell showed that the 30 Dasher is competitive as well at the U.B.R score match last month. he’s shot it for at lest 2 years if not 3 in IBS score and done very well. Are you sure those water capacities are correct? I don’t see getting 150-200fps with only 1.5gr more H2O capacity. Are there any sources of barrels for the AR15?